My apologies for the long delay in getting another post out. This month I’m out on the road for a bit as the race season officially kicked off this weekend and I am currently sitting in a large conference arena surrounded by more poodles than I can even begin to count. I go into detail on my race events on my other blog, but as a summary, Friday I had a 5K trail run at night followed by a half marathon trail run the following morning at Allerton Park in Monticello, IL. Not sure if it was all the mud or not, but that half took everything I had and ended up 2 minutes shy of placing in my age group – was just plain beat at this race, no excuses – must train harder. As far as the poodles go, we went straight from the race down to St, Louis for the Poodles National Specialty Agility Show at Purina Farms. Raven is doing his best to hang with some of the best in the nation and so far the need more training theme is resonating there as well. He has a few more runs today and hopefully he can overcome his new found fear of teeter-totters. My legs are drained and I’m faced with some serious downtime between Raven’s agility runs – can’t think of a better time to get the cobwebs cleared off Intrigued. Since the Georgia trip shots are already processed, let’s stick with the finds at Harris Neck National Wildlife Refuge. As noted in previous posts, we were down there back in May 2015 to get two birds – one being the Wood Stork (link here). and one hasn’t been announced yet. That doesn’t mean there isn’t room in the tin for plenty of other birds. 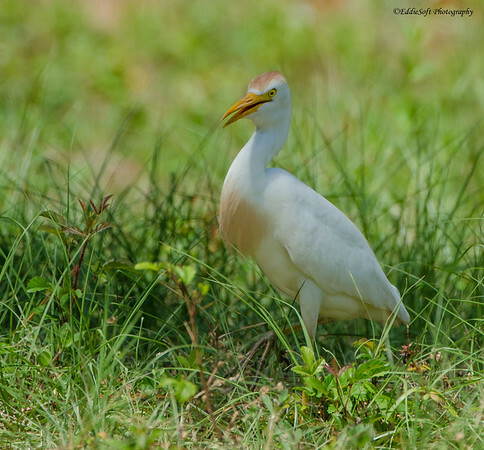 Take for example the Cattle Egret. This bird isn’t new to the checklist having been featured back in June of last year (link here). That post was thanks to a trip down the Texas Gulf Coast over the Christmas holidays at the end of 2017 – I also make no excuses for always being behind on my photo queue ha. Technically that was not the first time I had encountered and tinned this particular bird, it was, however, the first set I was able to get processed. When I posted that set on Intrigued, I was fully aware I had found specimens a couple of years back at Harris. Unfortunately, I was in a bit of denial this particular encounter ever happened … more on that later. Hit the jump for a few more shots of the Cattle Egret and take in my Public Service Announcement for big glass photographers.